As children in the U.S. prepare to go back to school, a United States-backed airstrike hit a school bus and killed at least 43 civilians—mostly children. Through multiple Democratic and Republican presidential administrations, of Bush, Obama, and Trump, the United States military has been on a steady march of conquest throughout the Middle East and Africa. 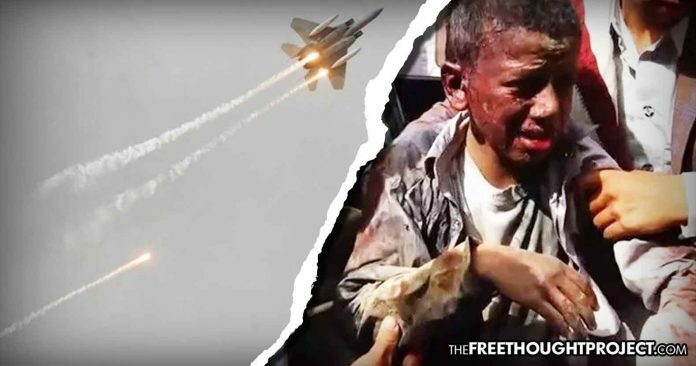 The cover story for so many years of nonstop military action has been “fighting terrorism” but for anyone paying attention, it should be obvious that their true goal is empire building at the expense of innocent children.